CHICAGO, June 19, 2018 /PRNewswire/ -- CRG, Clayco's real estate development group, is breaking ground to develop a multifamily apartment building in Chicago's historic Uptown neighborhood at the intersection of Sheridan Road and Wilson Avenue. The development is located two blocks from the Red Line Wilson Stop at 4555 North Sheridan Road and a ground-breaking ceremony will take place today at 11:00 a.m. CST. Construction will proceed throughout the next year, with delivery of the building and occupancy planned for July 2019. "The long neglected Uptown neighborhood is emerging from its shell," CRG Principal Jay Case said. 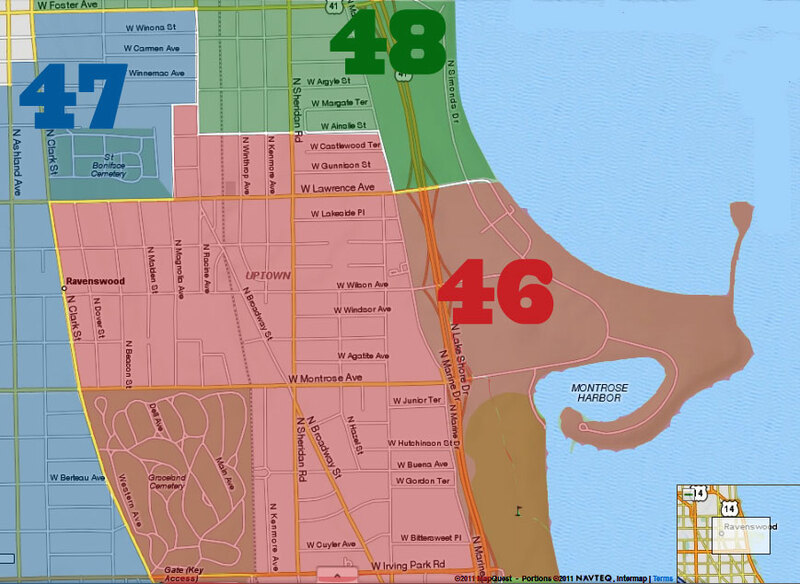 "New developments, including apartments and an urban Target, historically significant entertainment venues and the proximity to the lakefront make Uptown an exciting place to live." Clayco will serve as the design-builder and its subsidiary, BatesForum is the architect on the project. Capital partners include POB Capital and Principal Real Estate Investors. This project will also extend CRG's work with Chicago-based minority and women-owned firms and continue to build the pipeline of minorities and women in the trades, as CRG works with subcontracting partners to create and sustain jobs for those who live in the community. glass tower with 5,000-square-feet of ground floor retail space and 29 parking spots. Residents will be able to enjoy cutting edge amenities such as a 2,000-square-foot rooftop deck with views of Downtown Chicago, a coffee bar, exercise facility, business center and dog salon. 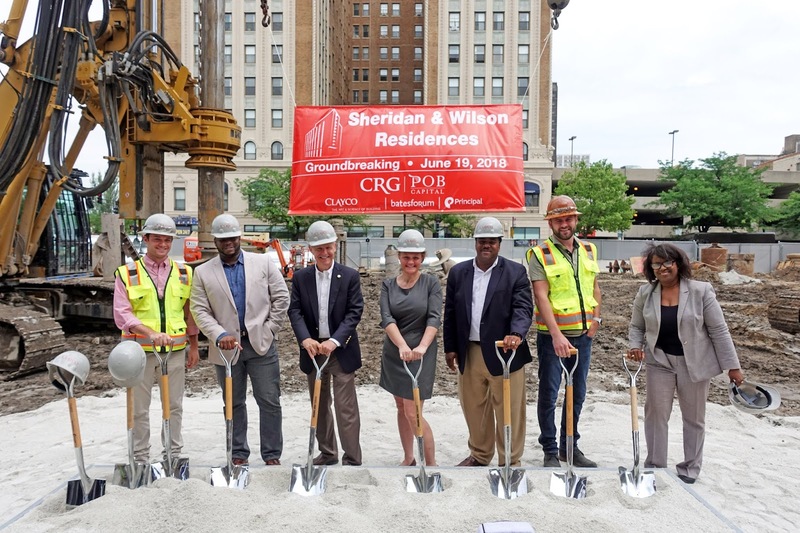 "The Sheridan and Wilson development is an exciting addition to CRG's multifamily footprint and portfolio," CRG President Shawn Clark said. "CRG committed to expanding its multifamily platform in 2015. Since then, we have developed a meaningful portfolio in strategic markets across North America." 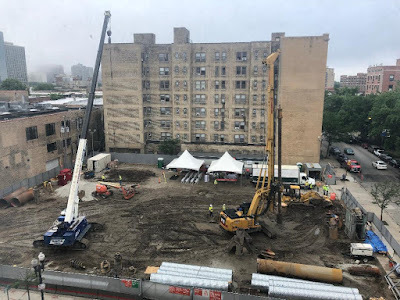 CRG is currently developing AM 1980, a multifamily rental building in Chicago's Bucktown neighborhood located at the intersection of Milwaukee and Armitage Avenues. Additionally, CRG recently completed student housing high-rise developments in St. Louis and Cleveland. For more information about the development at Sheridan Road and Wilson Avenue, visit realcrg.com/project/Sheridan-Wilson/. 149 units and only 29 parking spots. We never learn, do we. Yes, we DO learn. 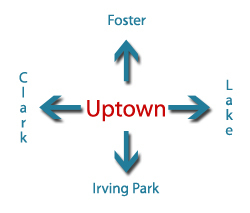 We learn that the people moving into Uptown recognize that there’s a new Wilson Red/Purple station a couple of blocks away, along with bus lines, bike lanes, and other transportation options that don’t require the expense of owning a car. Oh—new grocery stores, dining, and entertainment is within walking distance, too. Smart kids who choose to live in a great neighborhood and save money by renting a car only when they need one.